Over the years, Lucie has specialized herself in 3D sound. She first realised some soundscape and 4 documentaries using this technology for the soundtrack. A 360 ° sound immersion in the new scene jazz in New York City! ‘’ I discovered this technique with my teacher Pascal Rueff during my studies in image and sound in Brest. After listening some soundtracks, I was simply amazed, transported. This feeling of immersion in different sound environments troubled me and seduced me. So I wanted to continue the experiment later and try to share and integrate this technique in my productions most i can. I then equipped myself with 2 microphones I put directly into my ears. I usually bring this equipment with me when I travel to capture sound landscapes everywhere I go. 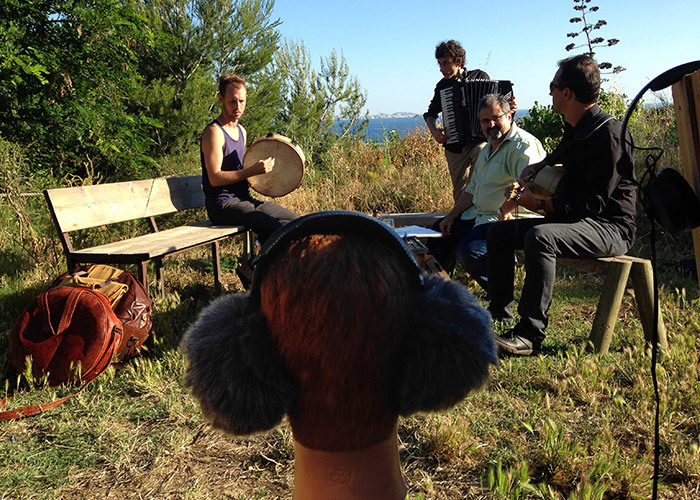 I also record in binaural some multichannel performances or live music to transcribe them in 2 channels to share them and so allow people listen and appreciate them. 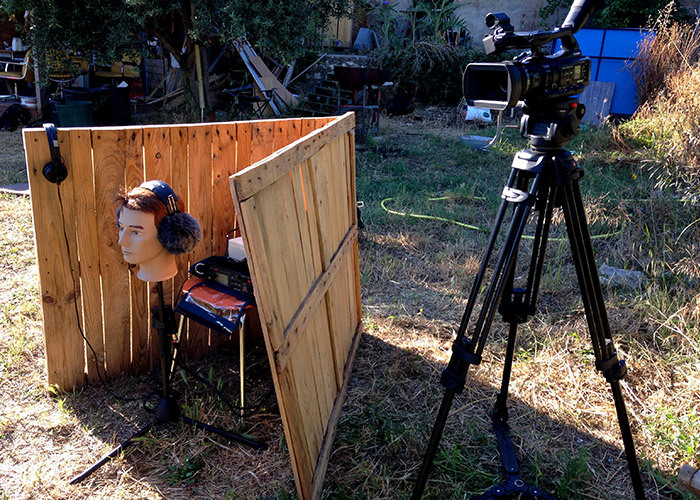 I have built a dummy head that I use for my recording. I use synthesis binaural plugins to make a 3D environment from any sound recording. I am now equipped with a world-renowned Neumann KU100 dummy head. Binaural capturing involves coding the directivity of sound sources via the principles that naturally govern human listening. According to its morphology, the listener will indeed transform with diffraction or absorption the frequency information of the sound sources and modify their temporal characteristics, depending on their origin in the sphere of perception. However, a two-sensor system is sufficient to analyze and reproduce a three-dimensional space: laterality, depth and elevation. In practice, this materializes in the form of a pair of miniature microphones that are inserted into the ears and which allows to pick up the sounds as they are heard. The phase of hearing a binaural recording must be done through a stereophonic headphone in order to reconstruct the three-dimensional space that is familiar to us. This listening provides a very pleasant sensation and can even in some cases induce real hallucinations sound. The relationship between the recording and the listener changes considerably when the recording can give it the status of immediate sensation.